When most people think of braids, they picture thick, full-headed jobs that take a ton of time and serious finger strength. But, these trendy styles are just as cute and a lot less work than the traditional full braid. If you're running low on time or you just want to try something different, these ideas are a good place to start. 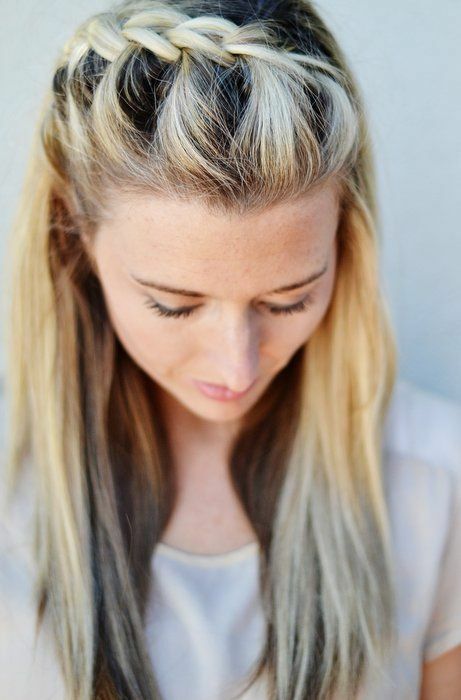 Check out this list of cute half-up braids. Most of these styles work on different hair lengths, so you should be able to find something that works for you! This simple hairstyle is easy to personalize. 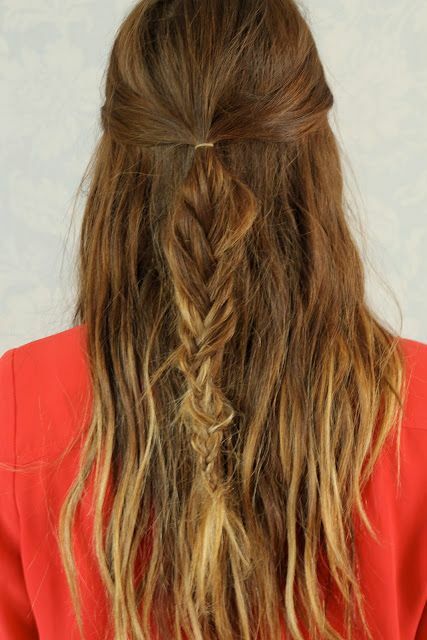 The chunky braid is a great visual and leaving loose hair feels casual and pretty. Pro tip: make sure to adjust your braid as you move so that it runs across your head. I love this braid. It feels very old-timey royal. The curly hair at the bottom is super chick and pretty. The double-branded crown is a neat visual, and it securely keeps your hair out of your face. 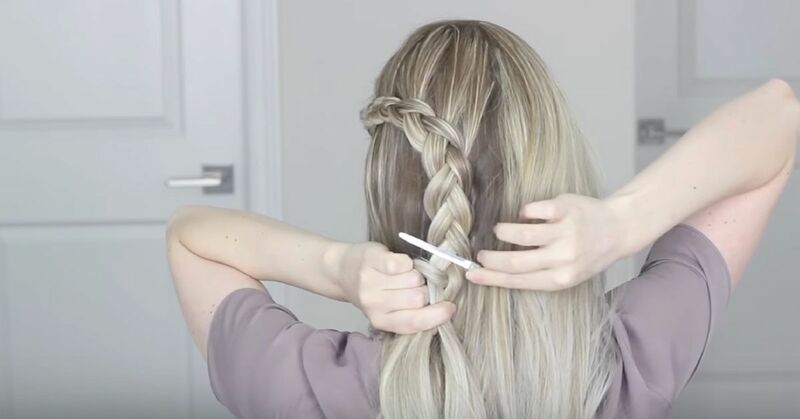 The four-strand braid has a unique look because you're using an extra strand of hair in your braid. The braid is a little tricky so make sure to watch this tutorial carefully. It's a bit more like a weaving technique than a traditional braid. This is a sweet look that's really simple. The highlight of the style is a pretty braided rose which is just the result of twisting the braid around itself. You could even add some little flower or pearls to jazz it up a bit. There's something about keeping your hair sweet and simple. It's a perfect style for days you are in a hurry, but you still need to look like you took a little time to get ready. I love the way this braid pulls hair away from the face and adds a little height and volume without looking over the top. The braid looks elegant and effortless, and you could easily flip the remaining hair up into a bun if you start to get hot. I love this idea because it seriously takes less than two minutes to do these braids. It's a go-to for when my kids woke up late, and we've got to run out the door. The style works on straight or curly hair and is a viable option for longer or shorter cuts too.